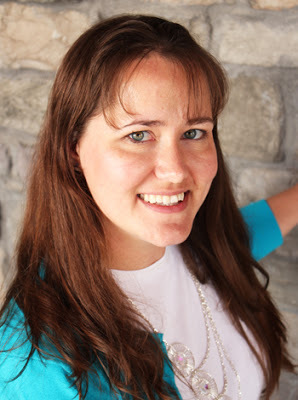 Carolina is a creative blogger, and award-winning quilter living in sunny San Diego, California. She loves to come up with original craft, sewing, and quilting ideas, as well as re-invent old favorites. Many of her crafts are perfect for adults to create, while others are fun for children. She loves to create with and for her two young boys, as well as for herself, her friends, and her home. Equally at ease behind a sewing machine and wielding a glue gun, she loves to try her hand at different mediums and different techniques, giving her a creative space where every shelf and surface is filled with craft supplies. You'll find her sharing her creations on her sites 30 Minute Crafts and Always Expect Moore, as well as on her CraftMoore YouTube Channel. Carolina freelances for brands and publications she loves, including Craftsy, Dritz, Fairfield, Prime Publishing, and Thermoweb. 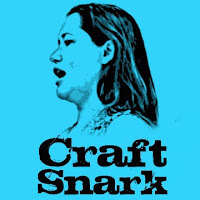 You might also know her from features on Channel 8 News Las Vegas, Craftgawker, Craftzine, and past work on Craft Test Dummies, Crafterminds, Darice, Little House on the Prairie, Mom It Forward, and SheKnows. Additional distinctions include being a current CHA Influencer for the Crafts and Hobby Association, and a 2-year term as "Crafts Expert" for Answers.com. Quick and easy crafts that can be made in 30 minutes or less. Fast craft tutorials ranging from sewing to painting to hot glue. Lifestyle and crafts including quilting, recipes, and craft tutorials. Occasional posts containing snark and humor related to crafts, craft blogging, and other random thoughts. I love working with brands and other bloggers! If you would like to work with me, send me an e-mail at carolina (at) carolinamoore (.) com. When working with brands, I follow FTC and Google guidelines - all sponsored posts are labeled as such, and paid links are tagged as "nofollow" links. If you want to reference any of my posts or tutorials on sites I own, please do, and link back. If you would like to include a post of mine in a crafting "round up," please do. You are welcome to take a picture or two from any post in a round-up or feature, without asking permission. However, if you include me in a round-up or feature, please let me know so that I can share it via social media. Please do not copy entire posts, tutorials, or chunks of text to re-post elsewhere. If you would like to make any of the items I show for profit, please respect the following: If you plan on making more than 50 pieces for sale, please contact me first. If you plan to make less than 50 please make sure you credit me as the designer.